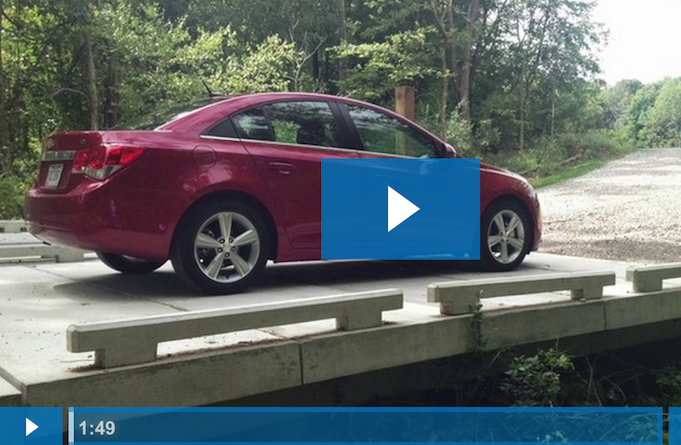 What Is the Maximum Concrete Boardwalk Width? 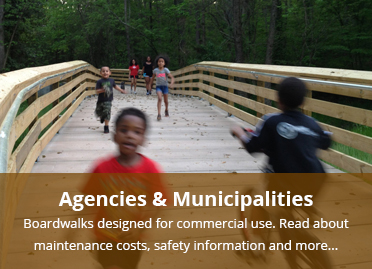 If you are an architect or engineer, you're probably familiar with the terms "usable width" or "clear width" as they relate to boardwalks, pedestrian bridges, and multi use trails. One of the common questions that comes up with the PermaTrak boardwalk system relates to these terms- "How wide can the boardwalk be?" 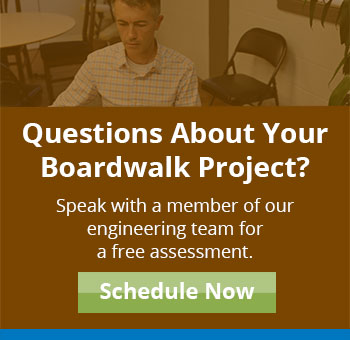 You may want to match the boardwalk's usable space to that of a connecting sidewalk or multi use trail. 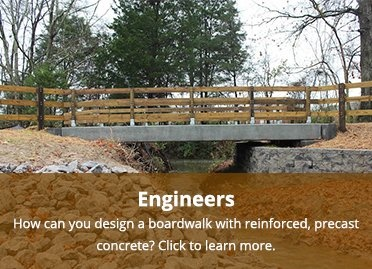 We've seen usable width requirements anywhere from 6' to 15' clear, depending on code requirements and what the boardwalk or pedestrian bridge will be used for. 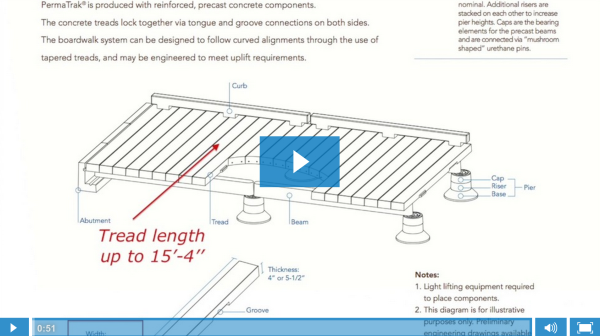 Watch the video below to hear more about width capabilities when designing with PermaTrak's concrete boardwalk system. Narrow walkways will have lower loading requirements (60-100 pounds per square foot) than a pier or obversation decks/piers. 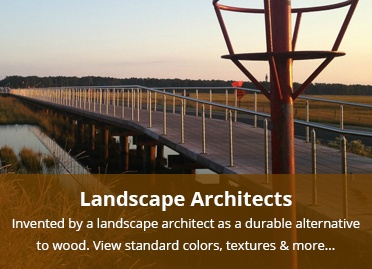 For wider walkways, such as observation decks/piers, you may have to design for 100-250 psf. 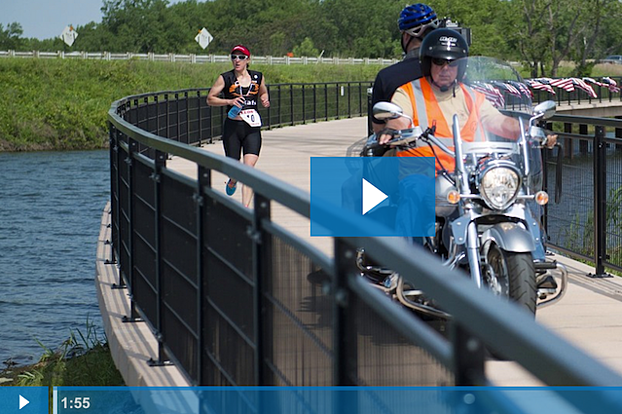 There really is no limit when it comes to a PermaTrak boardwalk system. I've often heard that someone wants a 8' clear, 10' clear...and more commonly, recently 12' and 14' clears. And you'll see from our technical components page that our maximum width in one tread is 15'-4''. For cases where you'd want to go wider than that, we've done this in projects, you'd place two or three treads side by side. We were recently working on a project where the designer wanted a 15' clear so we placed two 7'-6'' treads side by side..."